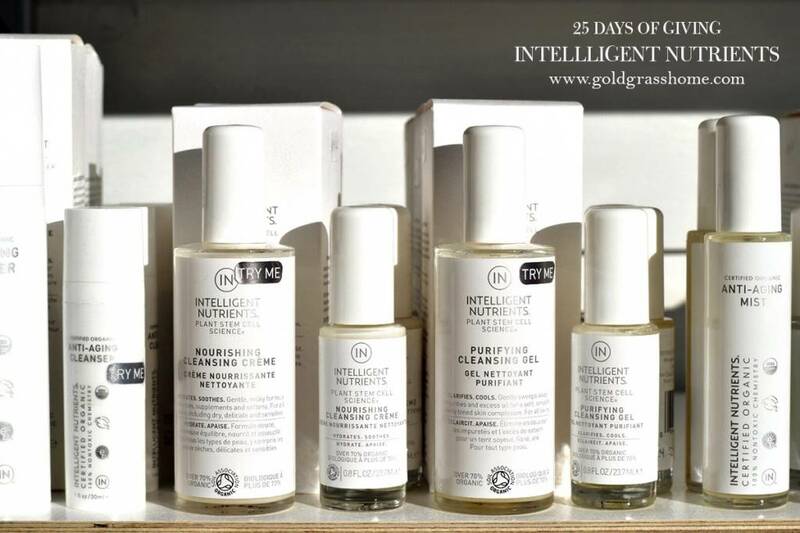 Today we are featuring world renowned Organic Skincare line Intelligent Nutrients. To simply say it’s pure and natural would be an understatement. To say it has a cult-like fan following would be putting it mildly. Let’s face it, when it comes to performance, purity and innovation, there is pretty much nothing out there that compares with Intelligent Nutrients. Intelligent Nutrients is the brainchild of Horst Rechelbacher, original founder of Aveda. When he sold the Aveda brand, he moved on to create IN with the goals of really getting it right, taking on the beauty industry, and truly creating a skin and haircare line that is good for people, long term. Getting down to the last couple of days on the 25 days of Giving Campaign. Last few days to take advantage of these daily deals, and joining us on the giving campaign. But don’t stress. That’s why we’re here. By taking part, you’re not only getting awesome natural gifts for friends and family, and helping us support a great cause, you also get 10% off the daily feature, and now 15% of the sale will be donated to the Resolve campaign to end homelessness. And you’re also entering to win an Ultimate Spa Kit, valued at over $1000. It’s an amazing gift pack stuffed full of the world’s finest and most luxurious skin and spa products, bath linens and other goodies!